Lancaster County Must-Dos | Much more than just farmlands! 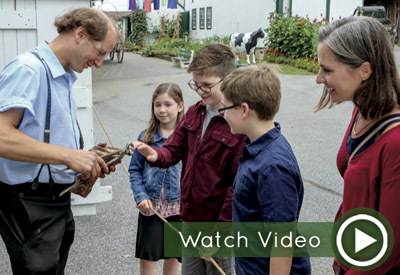 Lancaster County, Pennsylvania offers much more than a rich tradition of farming… we’re home to an incredible variety of family-friendly activities – guaranteed to have something for every member of your family. Experience the Amish culture first-hand at The Amish Village. Guided tour options include the 1840 Farmhouse, Backroads Bus Tour or our Premium Package offering both tours. All tours include self-guided exploration of the 12-acre property with friendly barn animals, a one-room schoolhouse and the Smokehouse Market with Amish-made foods. Join over a million adventurers who have discovered one of Lancaster’s true attraction gems. 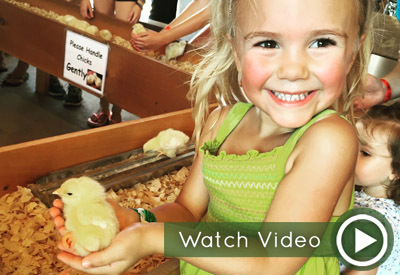 Over 50 farm fun activities for the whole family included in your admission! Admission includes: the Amazing Maize Maze, Farm Tour Wagon Ride, Wagon Express Ride, Hay Jump, Strawbale Racer, and so much more! Wolf Sanctuary of PA offers a haven to displaced gray wolves and wolf-dogs. The sanctuary provides quality care and enrichment for all of its residents and also holds educational public tours. 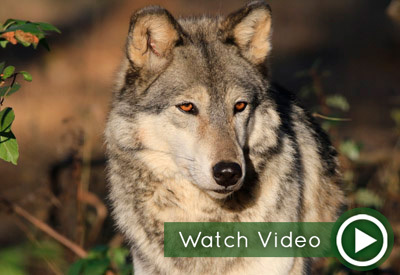 Visit and learn about wolf conservation and biology. 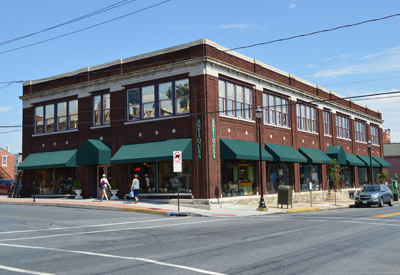 One of the largest and finest antique malls in Lancaster. 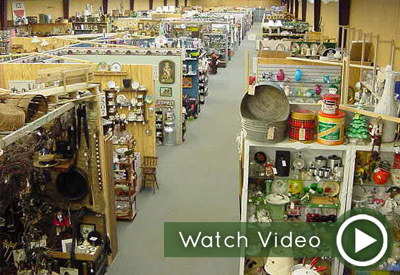 Huge 26,000 square foot facility houses over 125 dealers selling a wonderful selection of antiques and collectibles! Open all year! Monday-Saturday 9:30am-5pm; Sunday 10am-5pm; Closed Tuesday. 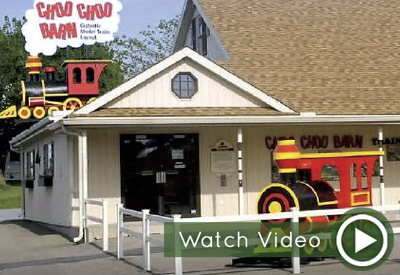 Cafe and gift shop on premises. 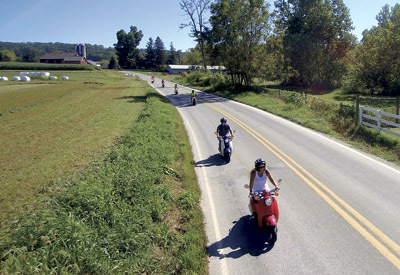 Enjoy a guided tour on 50cc scooters through the back roads of Amish Country with TripAdvisor’s #1 Tour in Lancaster County. Ride alongside horse and buggies, past Amish schoolhouses and amazing scenery with an experienced guide. 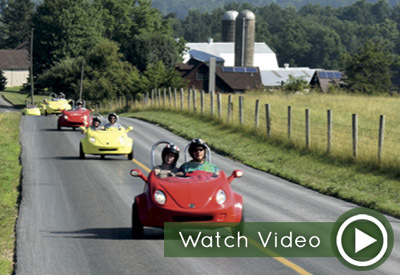 Strasburg Scooters offers a variety of tours including our signature Covered Bridge Tour. 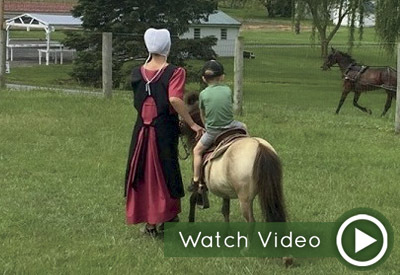 Spend the day on our farm and learn all about the Amish lifestyle. Make learning fun by visiting our farm animals and Amish school. Interact with our artisans and take a guided farmhouse tour. Complete your visit with our countryside bus tour. Enjoy a digital detox on our farm! Real. Good. Food. Since 1929. 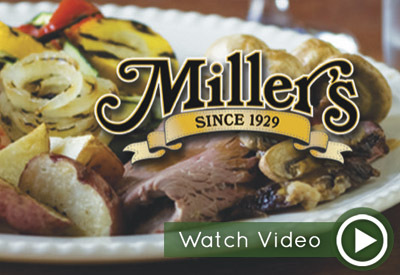 If you miss Miller’s, you miss Lancaster County. Menu Dining. Soup & Salad Smorgasbord. Award winning, Traditional Smorgasbord. Reservations, Call Aheads, and Walk-ins Welcome. Get Info & COUPONS at our website. Bring family and friends to enjoy our traditional Lancaster County home cooking and you’ll see why we’ve been chosen one of AAA top 10 best “down home dining” restaurants In north America, as well as being voted “the best” local PA Dutch restaurant for 15 years. Come see what all the fuss is about. 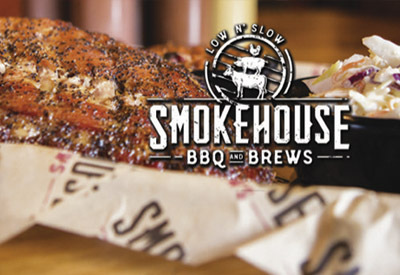 Featuring authentic, slowly-smoked American BBQ, house-made sauces, sandwiches, sides & salads. The full-service bar features signature cocktails, local wines, and hand-crafted brews, with Twelve on Tap. Get info & COUPONS at our website. 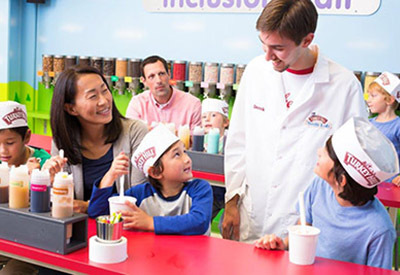 Create your own virtual ice cream flavor and packaging and star in your own commercial. Enjoy unlimited free samples! Don’t miss the Turkey Hill Taste Lab: a hands-on, educational experience allowing you to develop and taste the flavor you created virtually. 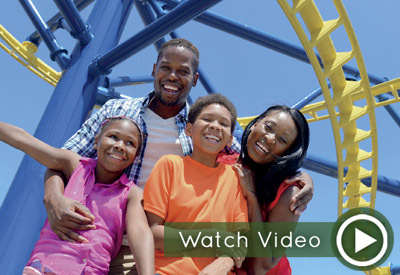 With over 35 rides, attractions, and shows, Dutch Wonderland is the perfect place to spend family time. Cool off in Duke’s Lagoon (Memorial Day – Labor Day) and make discoveries at Exploration Island, where dinosaurs come to life! Take an enchanted journey on Merlin’s Mayhem, their first suspended coaster. 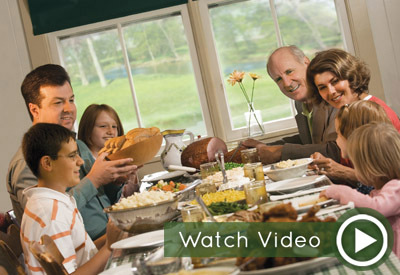 The Smucker family extends a warm welcome to visitors with lodging, dining and entertainment options. 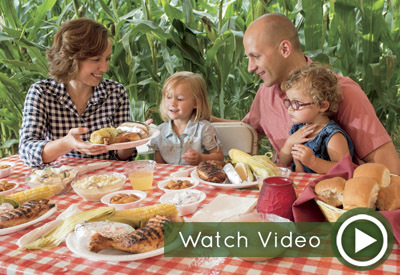 From our tours of Amish farmlands and our live Stage shows, to our farm-fresh foods and authentic experiences like our Cornfield Banquet, we make your visit special. History never tasted so good! 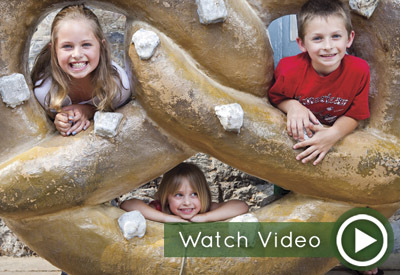 Come and see America’s first commercial pretzel bakery and experience how delicious 150+ years of baking tradition with the Sturgis family tastes. We offer a unique glimpse into the history of the pretzel with our guided tours through the bakery Julius started in 1861. Zip on by for a refreshing outdoor adventure. With over 1 mile of ziplining plus more than 30 elevated obstacles (including a climbing tower, giant swing, and pedal cart course), our professionally guided adventures will push your adrenaline envelop to the max. New for 2019, expanded climbing tower and Wildlife Center for even more. Strasburg Scooters @ Bird-in-Hand continues the 5-Star tour tradition at a second location in Lancaster County. Experience Amish Country like never before on two or three wheels as you explore the back roads in search of our favorite treats, shopping and other surprises along the way. Something special is growing at Sam & Susie Riehl’s Farm. 100 local family craft businesses, all in one shop! 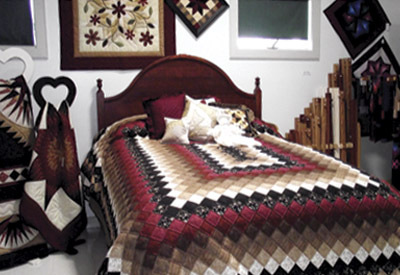 From baskets to brooms, bird feeders and bed quilts, your choice is as locally made as the corn in our fields! 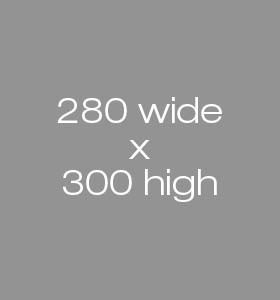 So come down the lane – Where all we make is the “Riehl” deal. 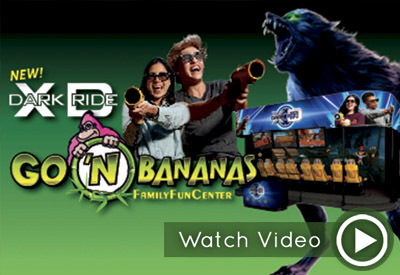 XD Theater, bumper cars, ropes course, laser tag, laser maze, laser frenzy, mini-bowling, arcade, café, Ballocity & more! Birthday Parties, Group Events or just walk in! FREE admission for spectators. Climate controlled, FREE parking. 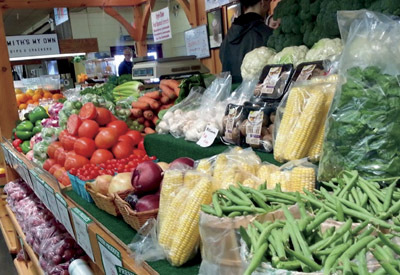 Visit Bird in Hand Farmer’s Market where you will experience mouth-watering aromas and bountiful displays presented by approximately 30 local vendors. Offerings include meats and cheeses, homemade baked goods, poultry and eggs, PA Dutch potato chips, soft pretzels and nuts, funnel cakes, and much more! 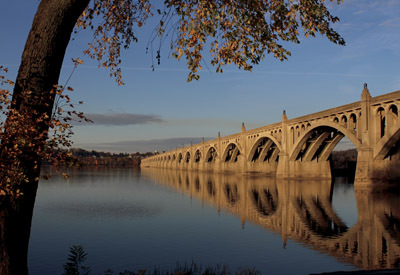 Experience the amazing sights, great food, and good times that overflow the banks of these Susquehanna River towns. You’ll soon learn why Columbia was selected one of the Top 20 Best Small Towns to Visit by Smithsonian Magazine. 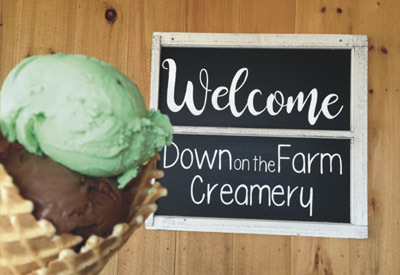 Enjoy the rich, creamy flavors of homemade ice cream produced on location of a working Amish dairy farm. Every batch of ice cream is made by the Lapp family with milk fresh from the family farm. Relax and enjoy your visit while the kids have fun in the play area, complete with a big wooden boat, or visit with the farm animals. The Li’l Country Store and Mini Horse Farm, near Strasburg, is operated by the Stoltzfus family and offers a variety of things to do and see. The mini horses are fun to interact with and rides for children are available (small charge). Homemade food includes potato chips, cheeses, root beer and whoopie pies. No admissions fee. Experience hands-on learning on a family farm. 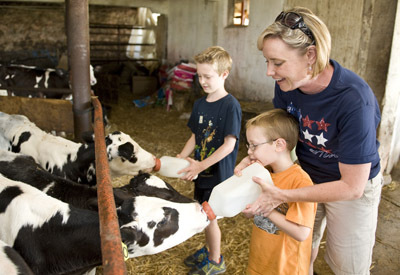 Milk a cow, feed a calf, venture inside a historic barn, and interact with farm animals. Educational, guided walking tours with scenic views of the Strasburg Rail Road passing through the fields. Open seasonally, March-November. View availability and book online. Come experience for yourself why Burning Bridge Antiques Market is the talk of the Antiques world! 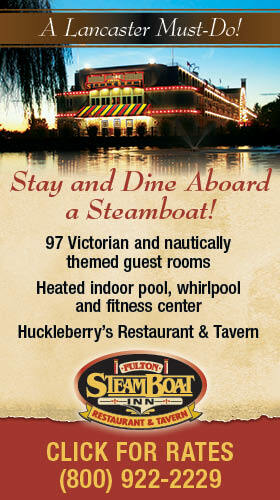 Originated in the late 1800’s, we have painstakingly added modern conveniences while preserving the historic beauty. Our dealers offer a diverse mix of fine antiques and collectibles at competitive prices. Imagine, discover, learn and play as you paint faces, grocery shop, climb on a tractor and so much more! 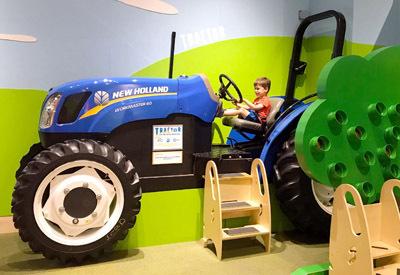 Designed for children ages 2 to 10 and their families, our safe, developmentally appropriate, interactive exhibits nurture thinking and creativity! 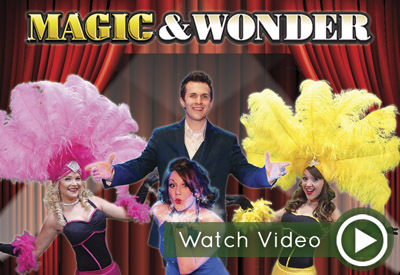 Illusionist Brett Myers and his magical cast return in a new show for 2019 full of grand illusions, audience participation, and comedy. Witness a woman impossibly floating in midair and experience true wonder as you unleash your imagination in this 90-minute theatrical production for all ages! 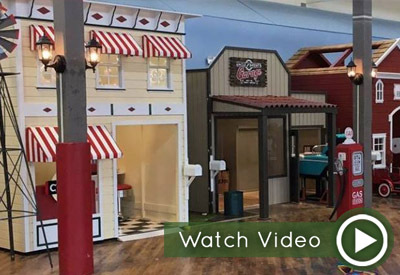 Tiny Town is Lancaster’s newest indoor playplace for children! Kids can explore 9 luxury playhouses with all the accessories. Check out an x-ray in our hospital, deliver mail to every playhouse, slide down our firefighter pole, read a new book in our library, get a new updo in our salon, and so much more! Join our team for a once in a lifetime adventure and the best way to see Lancaster County! 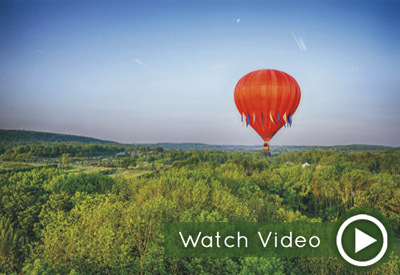 Balloon launches are scheduled every day at Sunrise and Sunset. Rides are an hour in the air and include a champagne toast. Call or visit our website to schedule today. 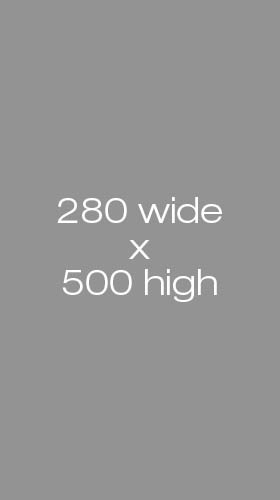 The 10,000 square foot Keystone Fireworks superstore has Pennsylvania’s largest selection of mortars, rockets, firecrackers and all of the biggest and best aerial fireworks. Save big with Buy One, Get One pricing and get FREE fireworks with our bonus program. 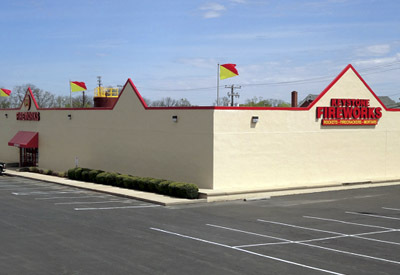 Located on Route 30 in the heart of Amish country. Open all year, 7 days a week. Since 1968 Abe’s Buggy Rides has been providing private rides through the countryside in authentic Amish-style buggies. 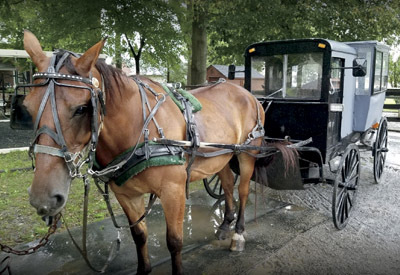 Experience your tour in the same family-style buggy as the Amish still use today. Bigger buggies are available for larger families. “Come Ride With Us”. Looking to advertise? Interested in joining our Must Dos list? Contact us at mustdosllc@gmail.com for more information. © Lancaster County Must-Dos. All Rights Reserved.